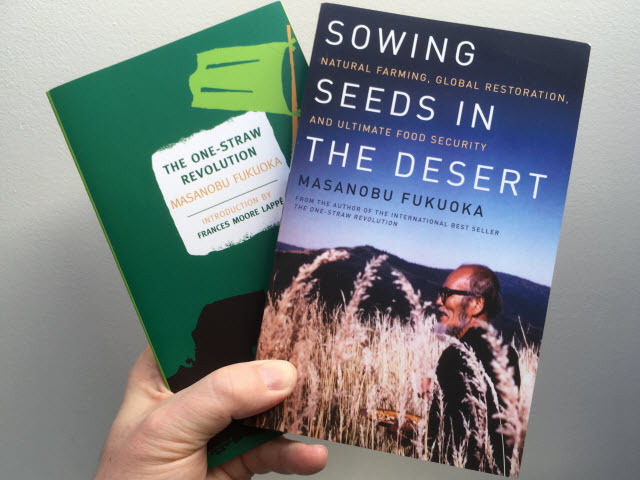 This post is a compilation of my tweets from reading of Masanobu Fukuoka’s two books The One-Straw Revolution and Sowing Seeds in the Desert. Masanobu Fukuoka (1913–2008) was a Japanese farmer and philosopher. He was an outspoken advocate of the value of observing nature’s principles. Masanobu Fukuoka’s first and last major works (from left to right). The One-Straw Revolution is Masanobu Fukuoka’s first book which became a bestseller. It is an inspiring book about agriculture, because it is not just about agriculture. The book is both practical and philosophical. Masanobu Fukuoka criticizes our willingness to reduce life to what is know about it, and to act on the assumption that what we don’t know can safely be ignored. Masanobu Fukuoka uses paradox and apparent contradiction to help break habitual patterns of thought. He opens the consciousness to perception beyond the reach of the intellect. Sowing Seeds in the Desert is Masanobu Fukuoka’s last—and perhaps his most important—major work. One principle that Masanobu Fukuoka followed was to consider how one could do as little as possible. This was not because he was lazy, but because of his belief that if nature were given the opportunity it would do everything on its own. Masanobu Fukuoka saw nature as a single interconnected reality. And he saw time as an uninterrupted moment of the present with past and future embedded within it. Nature as grasped by scientific knowledge is a nature which has been destroyed, it is a ghost possessing a skeleton, but no soul. The reason that man’s improved techniques seem to be necessary is that the natural balance has been so badly upset beforehand by those same techniques. To the extent that people separate themselves from nature, they spin out further and further from the center. … if people merely become caught up in reacting, moving to the left or to the right, depending on conditions, the result is only activity. I think that … the world has become so specialized that it has become impossible for people to grasp anything in its entirety. A single step away from the source can only lead astray. Scientists think they can understand nature. … But I think an understanding of nature lies beyond the reach of human intelligence. Why … That which is conceived to be nature is only the idea of nature arising in each person’s mind. The ones who see true nature … see without thinking, straight and clear. If even the names of plants are known, … nature is not seen in its true form. If you want to get an idea of the natural fertility of the earth, take a walk to the wild mountainside sometime and look at the giant trees that grow without fertilizer and … cultivation. The fertility of nature, as it is, is beyond reach of the imagination. Nature is everywhere in perpetual motion; conditions are never exactly the same in any two years. … until the general sense of values changes, the situation will not improve. … all aspects of the problem … must be brought together and solved at the same time. A problem cannot be solved by people who are concerned with only one or another of its parts. If you think commercial vegetables are nature’s own, you are in for a big surprise. These vegetables are a watery chemical concoction … with a little help from the seed. … if you decide to try to make money … you get on board of the profit wagon, and it runs away with you. The act of defense is already an attack. Fast rather than slow, rather than less—this flashy “development” is linked directly to society’s impending collapse. Though he was called a poor peasant … The New Year’s holiday lasted about three months. Gradually this vacation came to be shortened to … a three-day holiday. … There is no time in modern agriculture for a farmer to write a poem or compose a song. Discriminating knowledge is derived from the analytic, willful intellect in an attempt to organize experience into a logical framework. … Non-discriminating knowledge arises without conscious effort … without interpretation of the intellect. Human life is not sustained by its own power. Nature gives birth to human beings and keeps them alive. This is the relation in which people stand to nature. Nature is in constant transition, changing from moment to moment. … The face of nature is unknowable. Trying to capture the unknowable in theories and formalized doctrines is trying to catch the wind in a butterfly net. There is meaning and basic satisfaction just in living close to the source of things. Life is song and poetry. Just as human beings do not know themselves, they cannot know the other. Human beings may be children of “Mother Nature,” but they are no longer able to see the true form of their mother. Looking for the whole, they only see parts. … the discriminating and analytical knowledge of scientists may be useful for taking nature apart and looking at its parts, but it is of no use for graping the reality of pure nature. People do sometimes sense the sacredness of nature, such as when they look closely at a flower, climb high peaks, or journey deep into the mountain. Such aesthetic sense, love, receptivity, and understanding are people’s most basic instincts—their true nature. If we have not grasped the intrinsic greenness of the grasses and trees, which originates with the life at their core, we cannot say that we really understand what true green is. People simply believe they understand by making a distinction based on the outer appearance. In the end it is love, really, that sustains our spirit. Modern agriculture in the desert is based on the idea that you can grow anything if you just have water. … I advised people, on the contrary, to use as little water as possible … … high temperatures from radiant heat are of greater concern than lack of water. … una typical scientist I have not tried to … systematically formulate measures for preventing desertification. Instead, my desert prevention measures are strictly intuitive and based on observation. I arrived at the by using a deductive method. … while modern agriculture appears to be increasing yields, net productivity is actually decreasing. … modern petroleum-based farming is not producing anything at all. Actually, it is “producing” a loss. The that is produced, the or the earth’s resources are being eaten up. In addition, it creates pollution and destroys the soil. … by using mass-production techniques, the meat and fish industries severely pollute the earth and the sea. 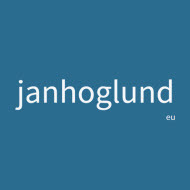 … efforts should not be centered on rules and techniques. At the core there must be a sound, realistic way of seeing the world. Once the philosophy is understood, the appropriate techniques will become clear as day. … the techniques will be different for different situations and conditions, but the underlying philosophy will not change. Without understanding what it is to know things intuitively, people have sought knowledge and have become lost. 1 Masanobu Fukuoka, The One-Straw Revolution, p.5. 6 Masanobu Fukuoka, Sowing Seeds in the Desert, p.35.